Pheasants, Grouse, Turkey, Geese, Whitetail, Mule Deer. Southern South Dakota. Whitetails, Mulies, Pronghorns, Spring Merriam Turkey. South Dakota (North Western). Whitetail and Mule deer, Antelope, Pheasants, Turkey, Waterfowl, Predators, Varmints and Fishing for Walleye, Northern Pike, Bass, Panfish. Eastern, South Central, West Central and Northwestern South Dakota. Check our web site map. 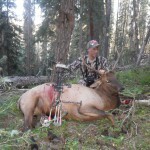 With more then twenty five years of experience Lodgepole Creek Outfitters can handle all your hunting needs in a curtious and friendly manner. Spring Snow Goose Hunting in South Dakota. Outdoor Adrenaline specializes in spring snow goose hunting and waterfowl hunting in South Dakota. We offer the finest decoy spreads on South Dakota's best waterfowl hunting locations. South Dakota Hunting Service is located on 30,000+ private acres in game-rich South Dakota. We provide exclusive hunts for wild pheasant hunting South Dakota, waterfowl hunting South Dakota , turkey hunting South Dakota, trophy whitetail and mule deer and coyote hunting South Dakota. We are in the business of providing sportsmen with the ultimate adventure in trophy hunting. By hosting a limited number of exclusive quality hunts, we are providing our guests with the individual attention that they deserve. Experienced guided hunting on prime bottom land in the South Dakota Badlands! 40K Acres of trophy hunts are waiting for you and your party! We hope you�ll consider joining us for a true wild hunt in beautiful South Dakota. Please contact us via phone or e�mail with any questions you may have or to book your hunting retreat. Pheasant Hunting Classic Upland Style with flushing dogs and small groups. South Dakota Pheasant Hunting at its finest. 100% WILD South Dakota Roosters. No pen raised birds shot at our place. Fantastic whitetail deer hunting. Combo hunts. Sportsmans Acres Pheasant Hunts The finest Pheasant Hunting South Dakota has to offer. 100% WILD South Dakota Ringneck Pheasants. Heart Pounding Action! Fabulous Whitetail Deer Hunting. Combo Hunts and all inclusive Hunting Packages available. We offer customized packages on all of our Deer hunting, Turkey hunting. Southern Ohio waterfowl guide service specializing in Ohio river hunts, lake hunts and field hunting. If you are a South Dakota Hunting Guides and would like your service listed here, use our Submission Form. It's Free!